details the Nuredo Magazine opportunity. Greater Tulsa Home Builders Association save 20%. If you qualify for both discounts, you save 40%! 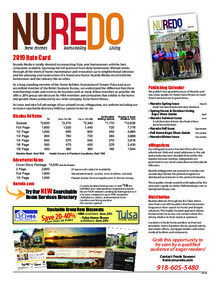 Download "2019 Nuredo Rate Sheet.pdf"